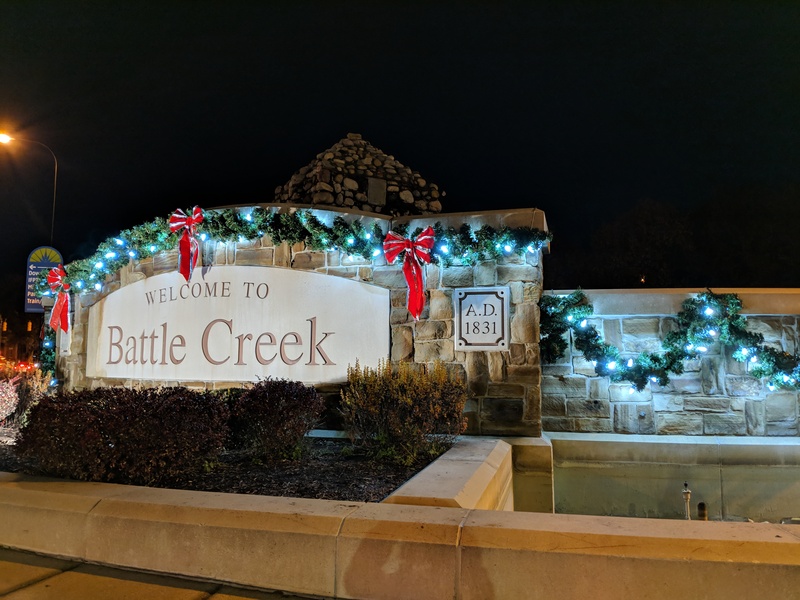 It’s the holiday season in Battle Creek, Michigan, and I am thrilled to give you a day in our lives on Tuesday, Dec. 3 for our #ELGLTakeoverTuesday! I am Jessica VanderKolk, City of Battle Creek Communications Manager. Welcome to our city! I’ve lived, worked and played here for five years now. Battle Creek is a city of about 51,500 people, situated between Chicago and Detroit in southwest Michigan. We are the “Cereal City,” as home to Kellogg Company world headquarters, and manufacturing plants for Kellogg’s and Post. You’ll have to imagine the smell of cereal in the morning, as I smell it in City Hall’s parking lot! We are the third-largest city by land area in Michigan, which means our snow plows already have traveled our 600+ lane miles, because we’re in Michigan, after all. We also are home the globally-known Fort Custer Industrial Park; the long-time-coming redevelopment project of a 19-story historic tower; and you might have watched the short-lived show “Battle Creek” which, yes, was based on us. Can’t wait to take you along with us. We believe in Battle Creek! After spending the day with us, follow us on social media. Jessica VanderKolk is the Communications Manager for the City of Battle Creek, exercising her talents of creative storytelling, community engagement through social media, communicating with the city team and community neighbors using a variety of traditional and online tools, creating logos, twisting arms so teammates will appear in videos, and drinking an immense amount of coffee. 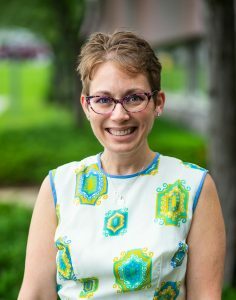 She is a graduate of the Michigan State University School of Journalism, and a proud local gov nerd. She runs, sings loudly in the car, and spends as much time as possible with her husband, 5-year-old son, and ridiculous dog.